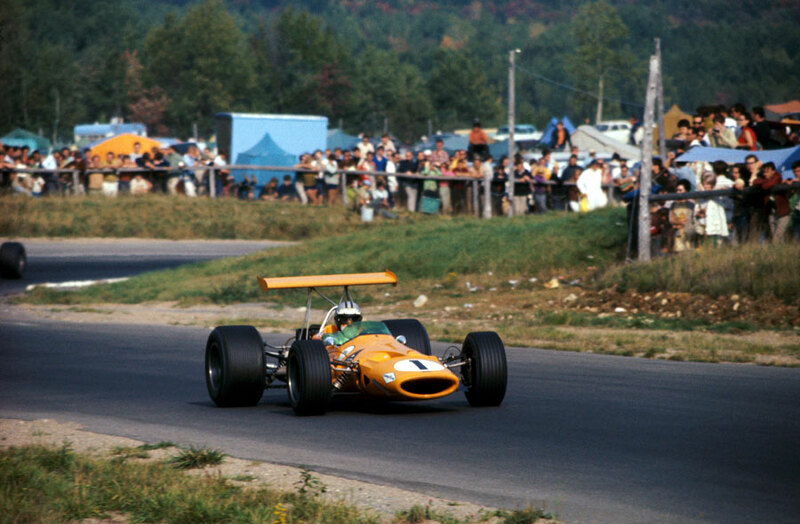 Denny Hulme secured his second consecutive win, his victory at the Canadian Grand Prix catapulting him from fourth to joint first in the drivers' championship with two rounds remaining. Pre-race leader Graham Hill finished fourth, Jackie Stewart sixth, but Jacky Ickx, who started the weekend three points behind Hill, saw his title hopes end when he broke a leg in a high-speed crash during practice. The circuit at Mont Tremblant was new to the F1 calendar but was known by some drivers who had raced there in other formats. Among those were Hulme and team-mate Bruce McLaren, and it played a part in them completing a one-two for the McLaren team. Jochen Rindt started on pole alongside Dan Gurney, who was in a McLaren after ditching his involvement with the costly Eagle project, but it was Chris Amon who took an immediate lead, staying there for the next 72 laps. Behind him a succession of cars dropped out - only seven of the 21 starters made the distance - and it seemed he was on course for his first F1 win. But his car was in trouble - he had driven for much of the race without a clutch - and 18 laps from the finish and with a clear lead, his transmission failed. Hulme and McLaren were well placed to capitalise, Hulme finishing a lap ahead of his team-mate with Pedro Rodriguez in a BRM another lap behind in third. "I wouldn't want to do that every day of the week," said a shattered Hulme. "You don't get any rest." Hill, who had been dogged by mechanical problems early on, persevered to take fourth place and secure three vital points, while Stewart, who also spent a long time in the pits, came home a very distant sixth.